Looking to start growing hydroponics? Here are some tips. 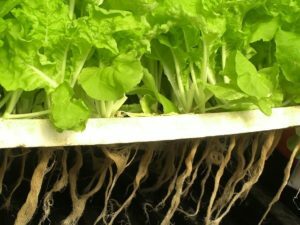 Hydroponics are versatile plants that have become more and more popular due to their unique growing process. These plants get the nutrients and water they need, but they don’t need soil to grow. This is helpful because the nutrients can get to the plants more effectively. There are a couple of different strategies you can use to grow hydroponics. Some people use nutrient pumps to aid growth and others use grow trays. Here are some tips you can use to grow hydroponics in a more effective way. When you’re growing hydroponic plants, or any kind of plants, it’s important that your plants get the nutrients they need. When growing hydroponics, you may notice that your plant growth has slowed down from the rate it once was. Even in the most perfect conditions, hydroponics can experience issues with growth. Make sure yours don’t have these problems by supplying your plant with essential vitamins like Vitamin B. Vitamins and other nutrients are essential for healthy hydroponic growth. Most people who grow hydroponics invest in HID (high-intensity discharge) lamps to aid the process of photosynthesis. You can use LED lighting for better results though. LED lights are good to use because they closely mimic the properties of natural light. This means it’s the best possible substitute for actual sunlight that you could use inside your home. These lights also aren’t so intense that they’ll dramatically increase the temperature in your room. LED lights are also extremely long-lasting, so you won’t have to keep spending money to replace them. Sometimes hydroponics will need more nutrients than their roots can provide. If this happens to your plants, you can use foliar feeding to supplement their nutrition. This method directs the nutrients directly to your plants’ leaves, creating another way to your plants to get the nutrients they need. The leaves of your plants will absorb these nutrients slowly, so keep that in mind when you choose to use this method. This entry was posted on Friday, March 29th, 2019 at 2:53 pm. Both comments and pings are currently closed.